Mom and Dad came down yesterday to help me with my landscaping. They were a lot of help. In addition to the mulch, mom pruned some bushes. She also brought some tomato and pepper plants. While we were working, we noticed that my neighbor had some beautiful calla lilies in her yard. I don’t remember ever seeing that kind of lily before. The neighbor has much more of a green thumb than me. My biggest problem is the 20 feet from the sofa to the door. I don’t go out when I need to pull weeds or water things. 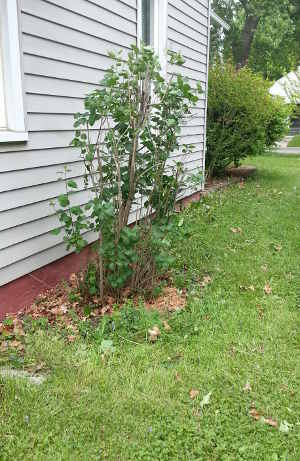 Mom trimmed back my lilac bush that had just finished blooming. It’s going to be a lot smaller next year. They grow really fast, so it won’t be long before it’s giant again. 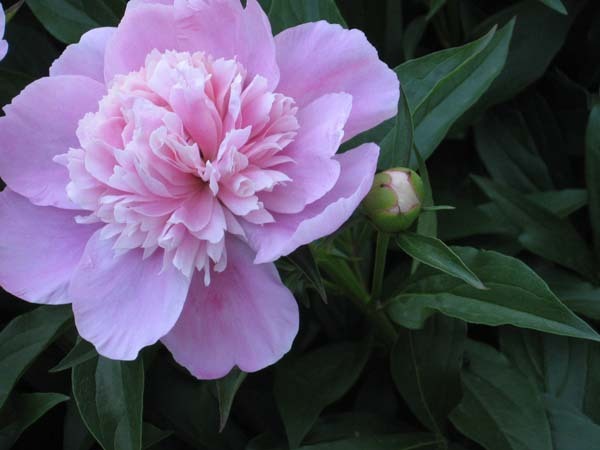 I have really big pink peonies at the corner of my house. They haven’t blossomed yet, but they’re getting close to opening up.